There are a number of different entities that can cause damage to our vehicles. Flying stones, inclement weather, inconsiderate drivers, and a variety of other things cause damage to our automobiles. While we can’t eliminate these threats entirely, we can be proactive in protecting our vehicles against them. Without further ado, here are 5 tips for avoiding auto body damage in Bensenville, Illinois. One of the biggest keys to avoiding auto body damage is to drive with plenty of clearance. Driving too close to the vehicle in front of you not only increases your vehicle’s risk of being involved in fender benders, it also increases your vehicle’s risk of being pelted with flying stones. Generally, it’s recommended that you stay at least 2 seconds behind the vehicle in front of you. In other words, you should arrive at a given point at least 2 seconds after the vehicle in front of you has passed a given point. However, if there’s snow on the ground, it’s wise to give yourself even more distance. The more distance you keep between your vehicle and the vehicle in front of you, the better chance your vehicle has of avoiding damages. Though severe hailstorms are fairly uncommon, they sometimes do occur. Unfortunately, when they occur, they can cause serious damage to vehicles, leaving dents, dings, and paint scratches. For this reason, it’s wise to keep your vehicle covered as much as possible. If you have the option, it’s best to park inside of a garage every night. If you don’t have a garage, your car will be at a much greater risk. 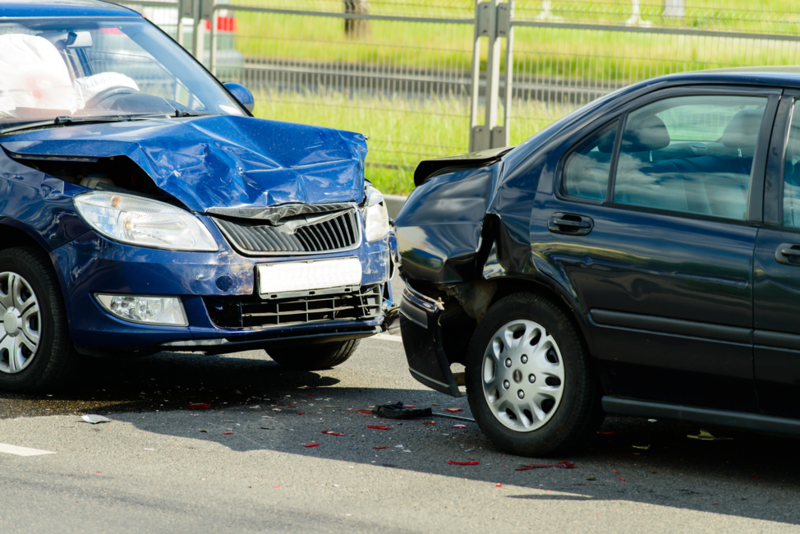 One of the most common causes of auto body damage is the carelessness and recklessness of fellow drivers. The more you expose your vehicle to other drivers’ vehicles, the greater chance your vehicle has of suffering auto body damage. If you have the option, it’s almost always safer to park in a driveway as opposed to the street. Parking your vehicle on the street puts your car at a much greater risk of being hit or swiped. Another tip for avoiding auto body damage is to park strategically. For instance, when at a grocery store or other public parking area, you may want to park your vehicle far away from other vehicles. You might have to walk a little further to get into the store, but you can usually rest assured that your vehicle will not be damaged by other vehicles. Did you know that dirt can be harmful toward your car’s paint job? If left to linger on your vehicle, dirt and pollen can begin to eat away at its paint, causing it to fade and deteriorate over time. For this reason, if you hope to preserve the body of your vehicle, it’s important to wash your vehicle on a regular basis. This typically doesn’t require anything special. Soap and water will generally get the job done. Looking for a Bensenville Auto Body Repair Shop? Has your vehicle already suffered auto body damage? Are you looking for a Bensenville, Illinois auto body repair shop? If so, look no further than Lombard Body and Fender. In business for over 47 years, we have made repairs to a wide variety of vehicles throughout the Bensenville, Illinois area. If you’re dealing with dents, dings, scratched paint, or any other type of auto body damage, we can help you.